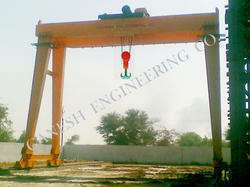 Leading Manufacturer of industrial gantry crane, portable gantry crane, double girder gantry crane, heavy duty gantry crane, semi gantry crane and single beam gantry crane from Ahmedabad. 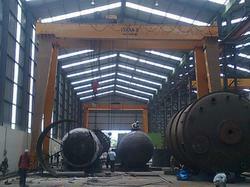 We are a world-class Gantry Crane manufacturer, supplier and exporter in India catering to the varying requirements of a huge base of clientele. 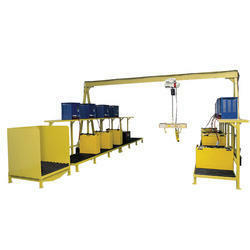 The range of cranes offered by us is used for common lifting and unloading purpose outside warehouses and railway sideways. 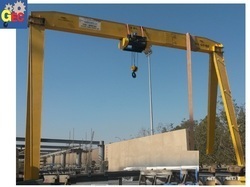 Our range has support legs, trolley, crane traveling organs, strong lifting winch and bridge that makes the overall structure of the heavy duty Gantry Cranes as per industry norms. 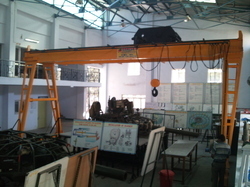 The entire frame of the crane depicts box-type welding mechanism. 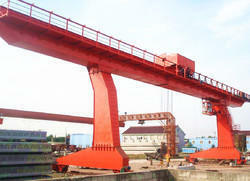 Whole mechanism of the crane is operated inside the driver cabin, where power is supplied by slide or cable wire. 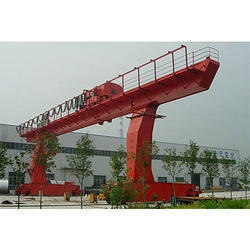 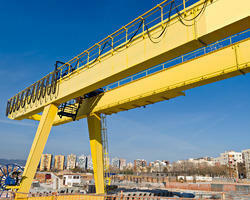 Looking for Gantry Crane ?